Looking for professional home renovations in Charlotte or Blowing Rock, NC areas, then Pippin Home Designs Inc. is here to assist you.. Please visit Pippin Home Designs Inc at pippinhomedesigns.com for more information about our services. We believe that the creation of a new home or renovation project is an artistic process and a joint venture between the Designer and the Homeowner, with a keen awareness of re-connecting to and living in harmony with nature. We believe that working with the Homeowner, the Builder, Interior Designer and Landscape Designer as a team effort will unleash the power of collaboration, because we Listen, to maximize the potential of the end result. We hear you. We take your home beyond what you thought was possible! Why settle for an ordinary home when you can have an exceptional one? A home designed by Pippin Home Designs, Inc. provides solutions for challenging building sites and fitting a home into a small building envelope; our homes are right-sized to fit your budget and lifestyle; they provide aging-in-place and universal design opportunities; they offer multi-purpose spaces; life centers; drop zones; retreats; outdoor living areas; and multi-generational living spaces. Whether you’ve looked at hundreds of home plans and can’t find exactly what you’re looking for; you can’t decide what architectural style suits you and your site the best; or how to blend the multitude of high performance techniques into your home for energy efficiency and self-sufficiency; or ways to improve indoor air quality and reduce EMF exposure; we will guide you through the decision making process to the solution that suits your needs best. Our homes are to be used for inspiration and rejuvenation, rather than simply a place to store our ‘stuff’. We believe they provide shelter, a place for self-expression, healing, comfort, empowerment, happiness, love, inner peace, memories and connectivity to the environment. 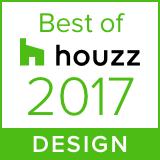 Allow our award-winning Designer, Jennifer Beaman Pippin - visionary, artist and intuitive, to craft a home that is intimately yours. You will benefit from her 30 years of experience as a residential design specialist, as the lead on your project, translating all the puzzle pieces of information and assembling the details into the Design solution for your perfect home. Whether you're looking for a cozy cottage, a luxury estate, a whole-house transformation, or a small addition, we listen to your thoughts and ideas, and provide the intuitive insight and creativity to bring your new or current home to life. Check out some of our recent projects on Houzz! "Our mission is to empower people with creative design solutions and the knowledge to make better choices when creating or re-creating their own homes, which allows them to live authentically, in durable, healthy and happy homes."